• Simple, colorful illustrations and rhymes about the most populous borough of New York City - Brooklyn! • Wonderful to read aloud, a great shared experience • A celebration of one of America's most fascinating, rich, and diverse communities • New addition to board book series for young children from author and illustrator Zschock; series also includes books on America, Boston, Cape Cod, Chicago, Florida, Maine, New Orleans, Philadelphia, Rhode Island, San Francisco, Vermont, Washington, D.C., and Yellowstone. 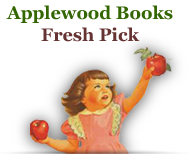 Also new in 2013 are books on The Adirondacks and The Rockies. • Bestselling author Zschock has sold over 65,000 copies of her "Hello!" books since their debut in 2009. 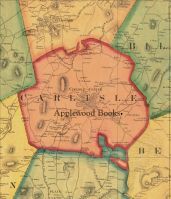 • This book is Made in the USA. 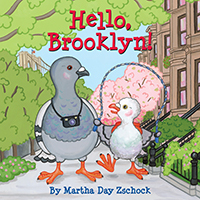 Welcome to the wonderful borough of Brooklyn, New York where a parent and child pigeon act as your guides! In bestselling children's author-illustrator Martha Zschock's board book, young readers will discover neighborhoods from Greenpoint to Brighton Beach, from Bushwick to Borough Park, from Park Slope to Flatbush. Explore Prospect Park, Coney Island, and the Brooklyn Navy Yard. Eat hot dogs, cheesecake, pizza, and bagels. See famous bridges and travel on subways! For ages 2-5. Made in the USA.